Turn your tiny balcony into a garden, café, or even a lounge with this lookbook. 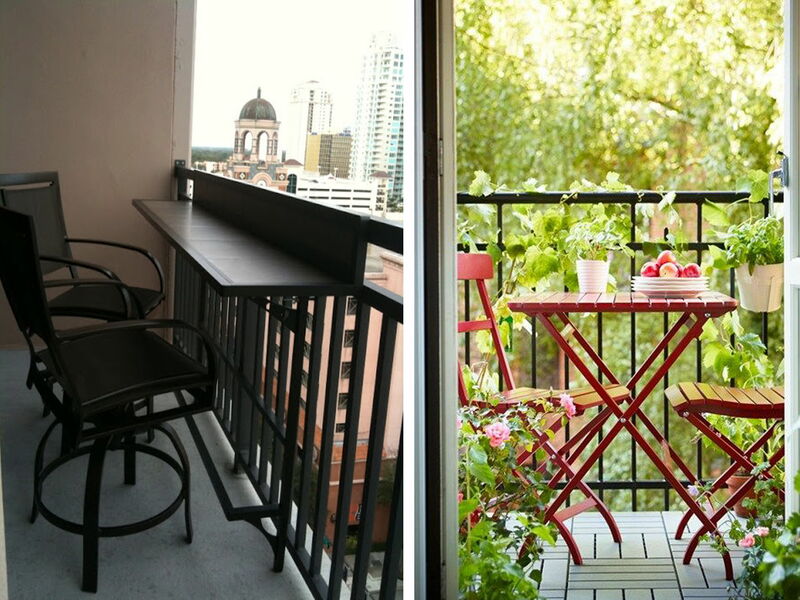 What do small balconies and Chihuahuas have in common? They’re both small, easier to maintain, and don’t know their full potential! 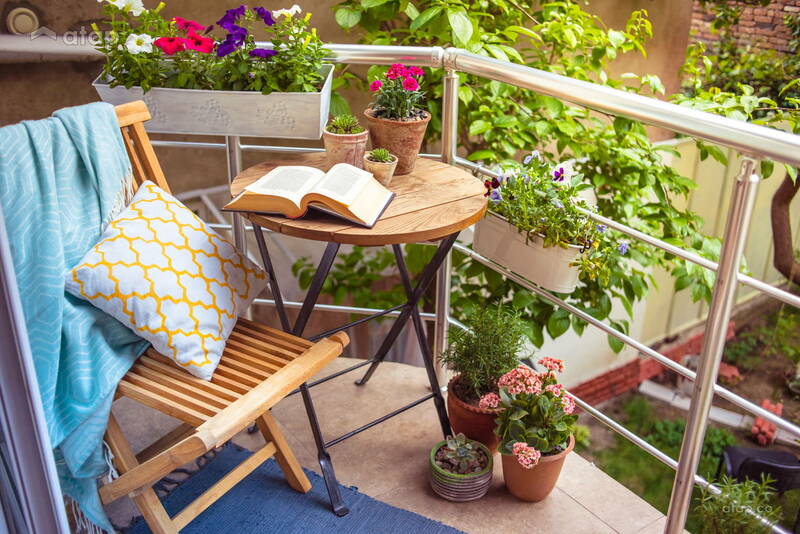 Balconies are a common sight in every city, but how many of us bother to give it the same attention we give the other parts of our home? Fun deck chairs can make a significant difference. 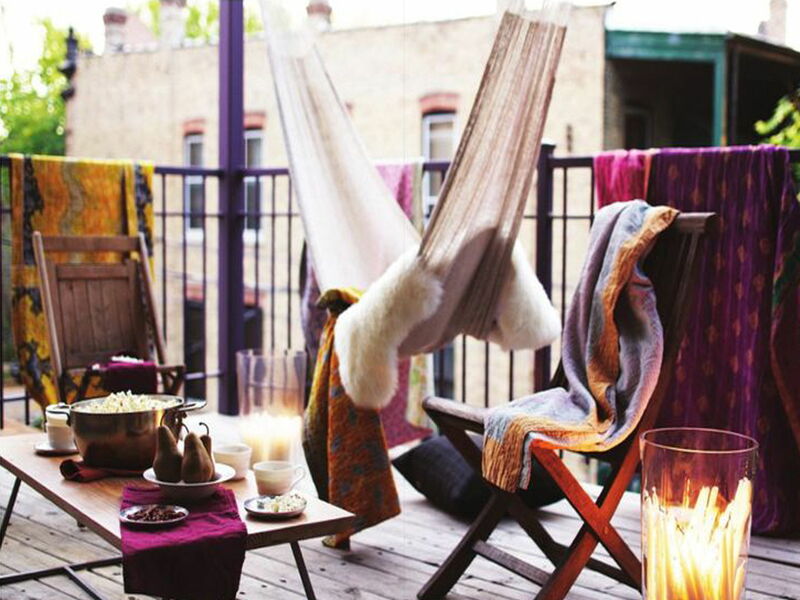 But the real secrets to a comfy lounge are cushions, candles, flowers, and your beverage of choice. 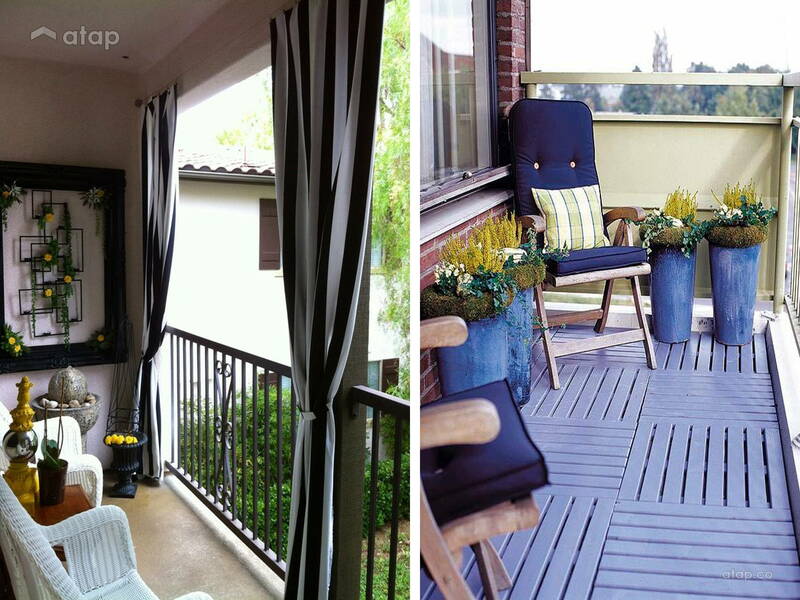 Don’t be afraid to go crazy – paint the floor or even hang curtains. 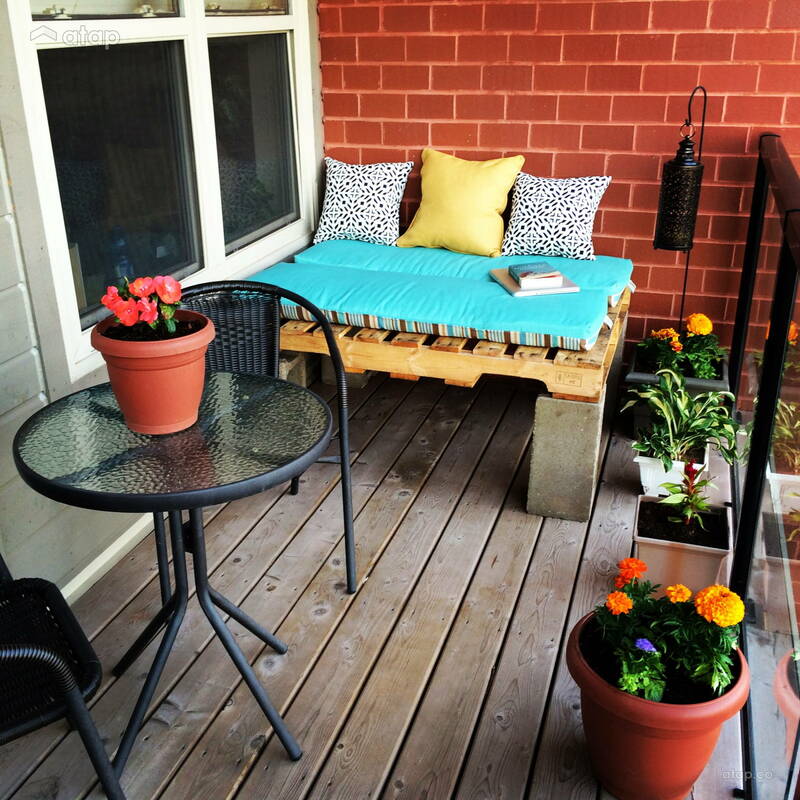 Just like any garden, balcony botanicals need the same amount of love and care. So be sure to pick plants that don’t require large spaces. If you’re not a green finger, choose plants that don’t need much fussing, like cacti. 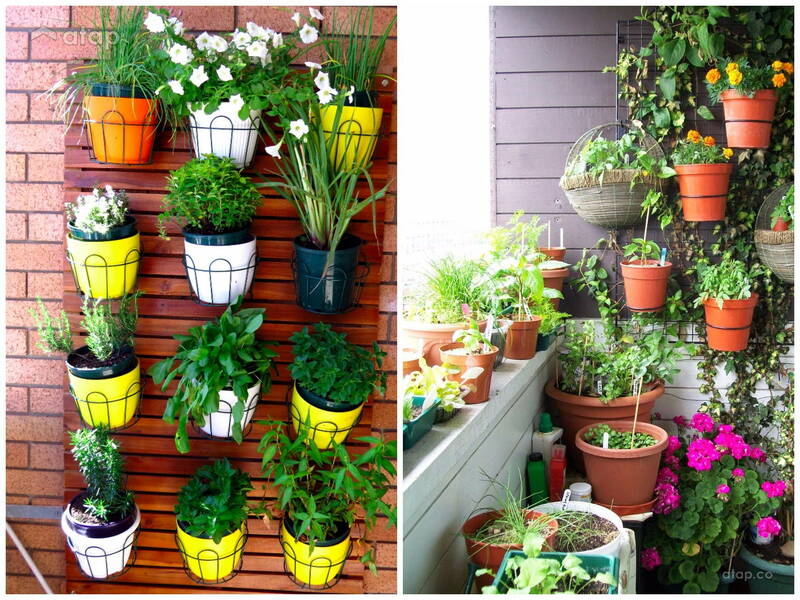 If you don’t have much floor space, then why not store your plants upwards. 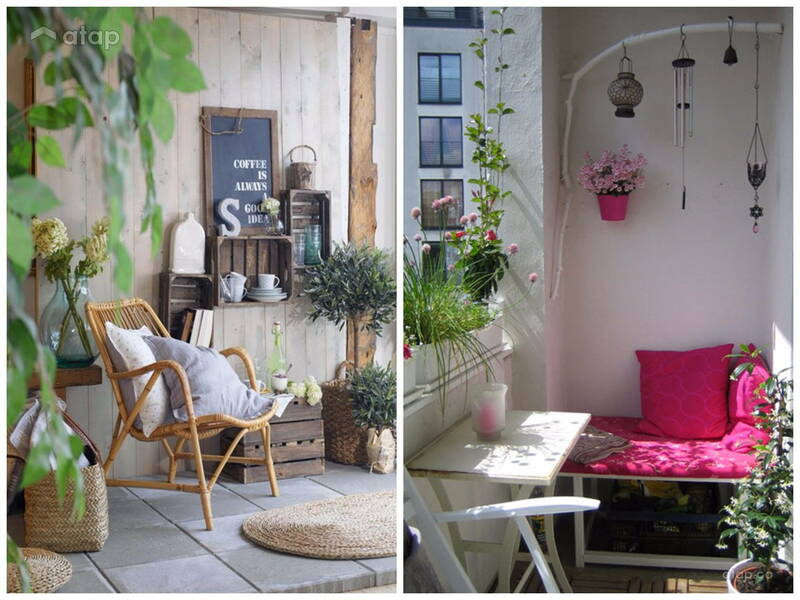 Window boxes on your railings are also a space-efficient way to decorate small balconies. Plus, your fuchsia flowers will make your neighbours green with envy at your adept gardening skills. 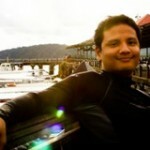 Like spending time at cafes? Why not create your own. 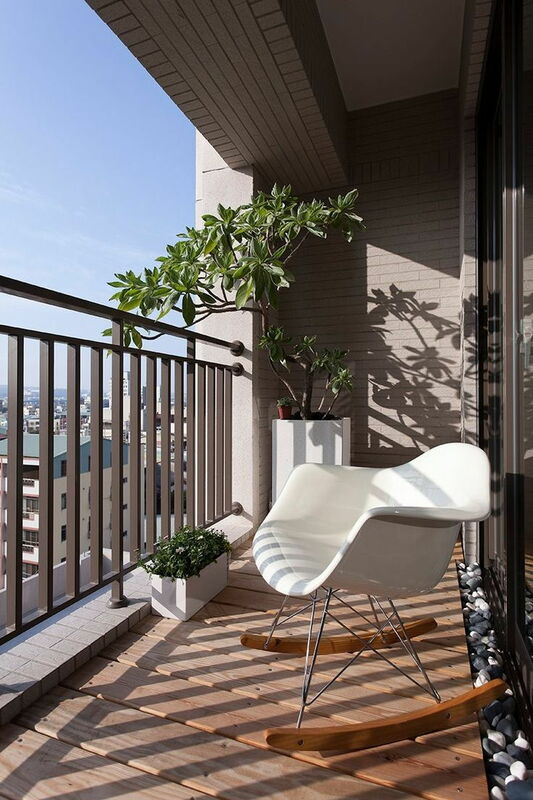 Start with some nice chairs and a table, or even a mini countertop to save floor space. 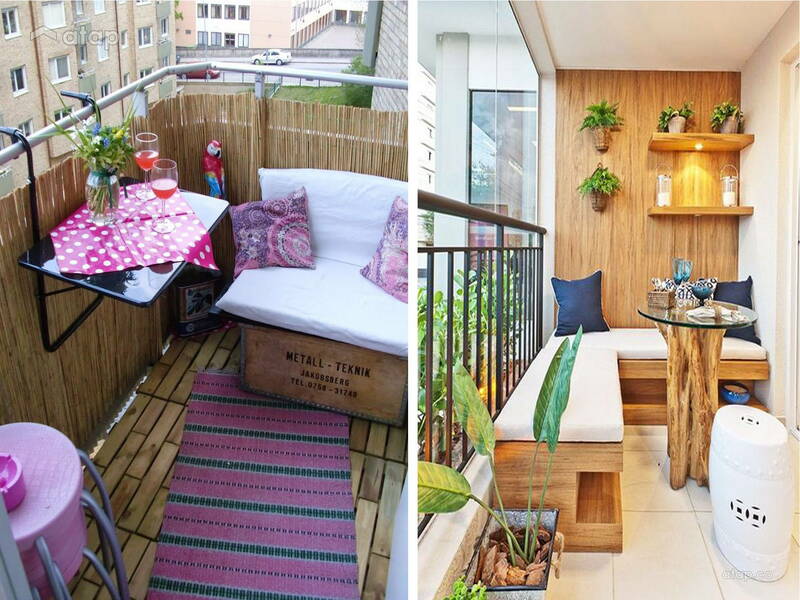 Almost any space can be turned into a coffee spot. 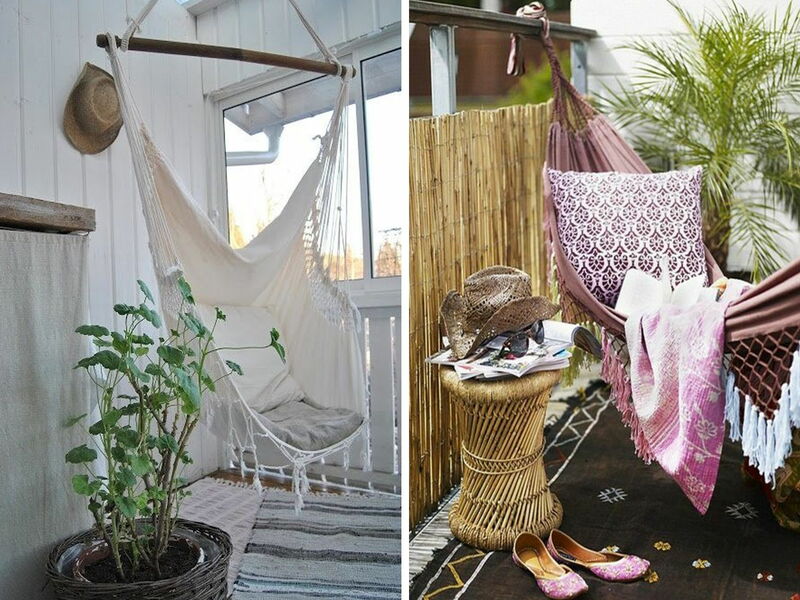 If you think hammocks and hanging chairs are only limited to big gardens then you’re in for a treat! 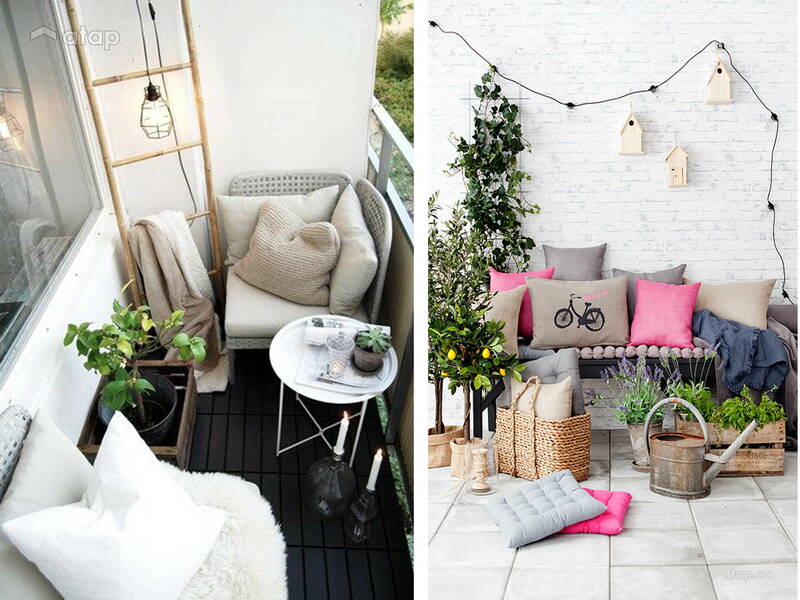 This can even be done in a loft or near large windows. Sometimes you just need to get away from the world’s troubles (i.e. housemate) and dive into a book. 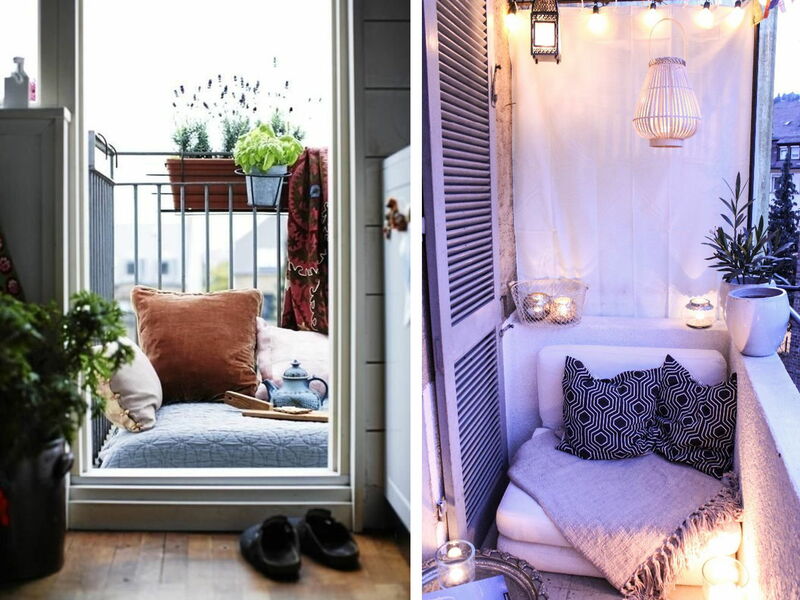 All you really need is a cosy seat and a great book. The weather in your area (e.g. strong winds and heavy downpours). Your building’s policy and safety regulations for exterior modifications. 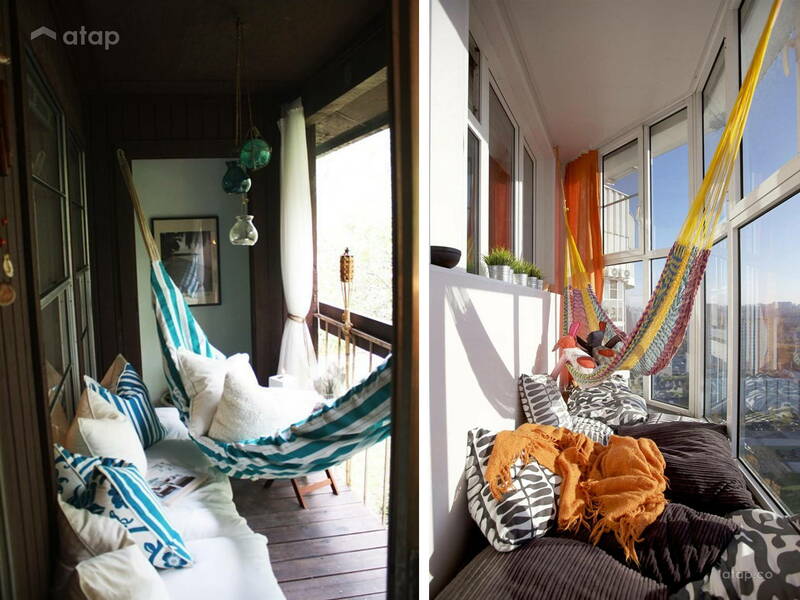 If you’re renting the unit, then it’s best not to do any permanent changes to the balcony. 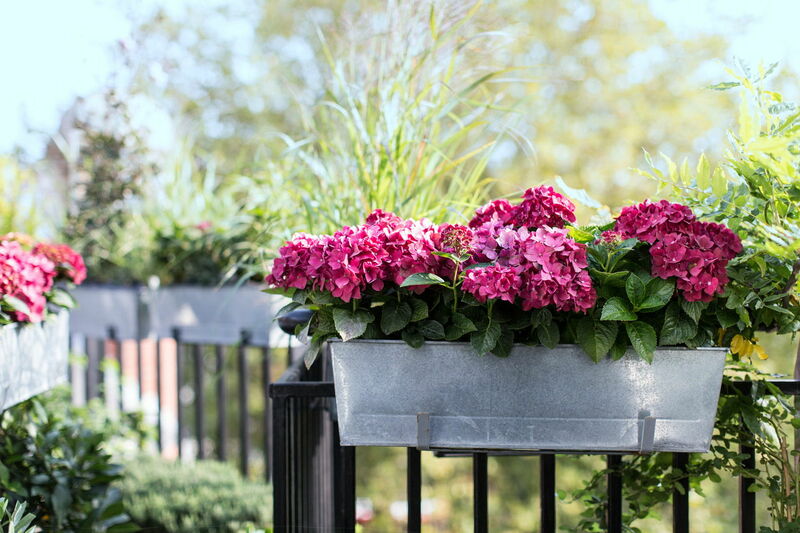 Ensure all pots and planters are fastened securely to prevent accidents.